Upon receiving 402 calls from students about registration issues between Jan. 7 and 15, City College extended its spring 2019 registration deadline by one week, until Feb. 4. 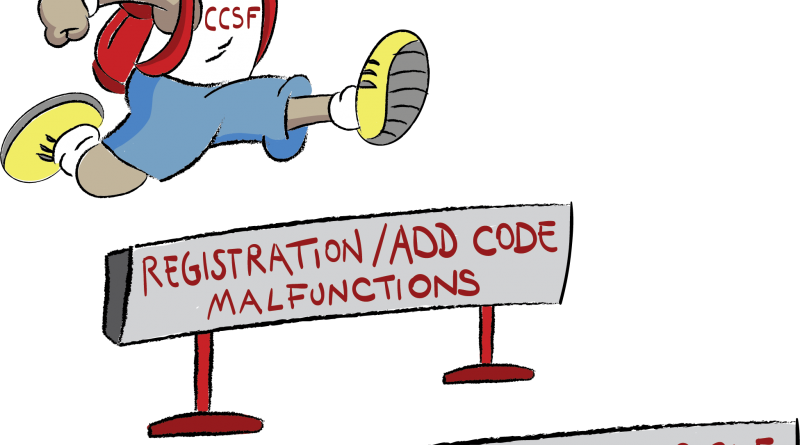 The issues were created by City College’s administrative software Banner 9, which the college implemented on Nov. 11, 2018. Its predecessor, Banner 8, was going to no longer be supported by the end of 2018. According to the City College website, Banner 9 delivers a fresh user experience, new tools and improved functionality across all areas where used. It also functions on mobile devices. College officials have urged students in a series of emails to register in person, call a help-line and show up to class even if unlisted in the system. They advised a “temporary plan-B” where students they may register in person at any college center, and stated that the college will open registration offices during nights and weekends if necessary. The Outreach Department stated in an email that until Jan. 28, credited students do not need an add-code to enroll in classes with space available. Add-codes themselves have proved dysfunctional. While the college has made many efforts to ameliorate problems related to student registration, the issues extend beyond classes themselves. With the Banner 9’s “Student Portal” feature down, transferring students were also inconvenienced by the software malfunction. Former City College journalism student Nancy Chan was asked to provide her student transcript during her orientation at Sacramento State University. But she could not access her Student Portal. The Jan. 24 board of trustees meeting will feature a presentation about the Banner 9 malfunctions. 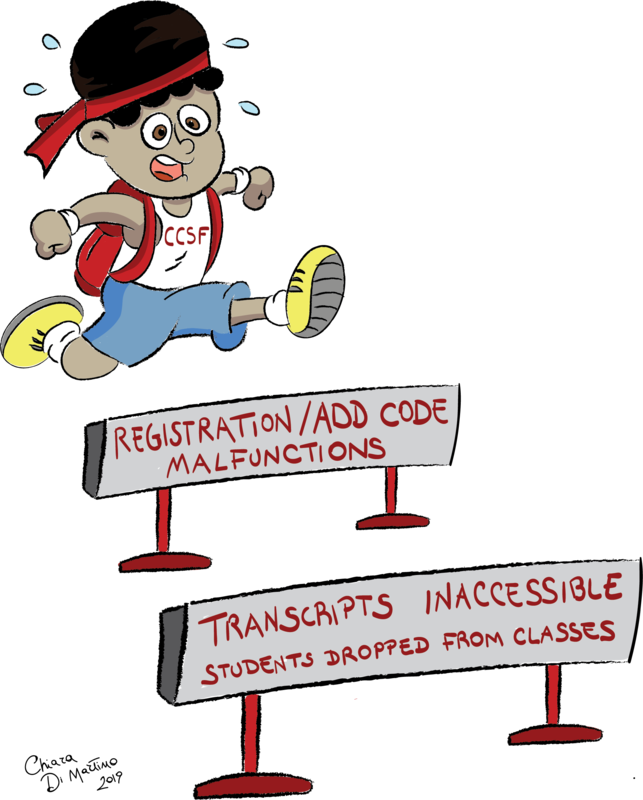 Students can receive immediate assistance by calling the Help Desk at 415-239-3711 or emailing helpdesk@ccsf.edu. The Help Desk is staffed 24/7-365.